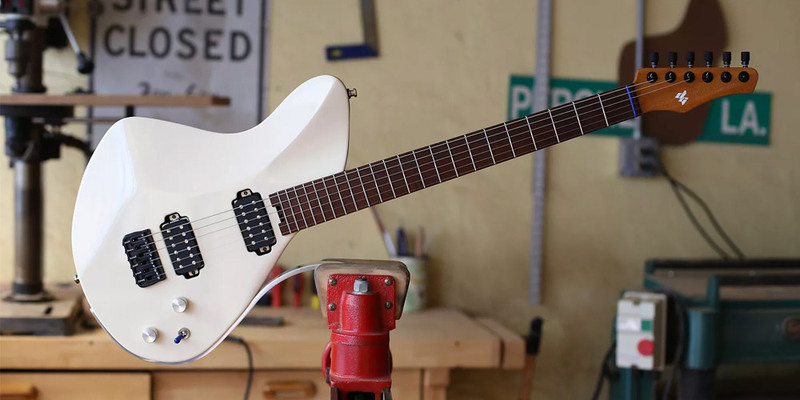 Being a one-person shop is difficult for any business, but for a custom guitar builder it can seem impossible. Dealing with material sourcing, customer requests, building, space, and expenses can quickly drive the timid out of business. This is why many builders focus on very common and classic shapes, which have a very devoted following. But what if you want to follow a different path? We talked to one such trailblazer, Dean Gordon, whose very unique guitars break convention at every turn. We wanted to know what that process looked like and how they've been able to make their small business successful. Gordon is ferocious in his pursuit of improvement to the electric guitar. His experience in repair work as a younger person shaped his vision of the electric guitar he wanted to make—one that respects tradition but pushes the boundaries of form and function. 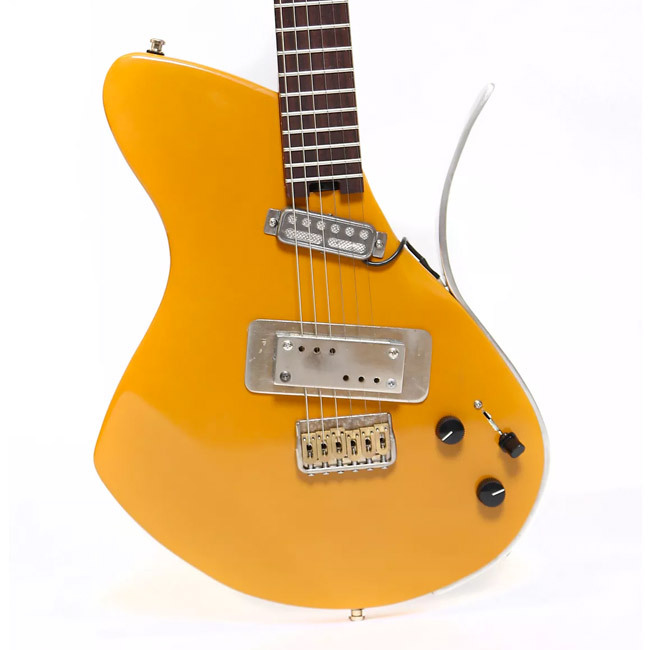 Gordon's wildly innovative designs are very idiosyncratic, which can be difficult to market in the guitar world. Gordon offers just two shapes, the single-cut Mirus, and the double-cut Virtus. Within these two models, the options for customization are nearly limitless, and he feels that his uniqueness is a strength, helping him to grab more attention than if he was "just another guy making a Strat or a Tele with a little tweak or a different parts layout." In trying to market his brand, he went the traditional route first, contacting a well-known magazine (that had previously featured his work) about one of his chrome-bodied models. All he heard back was a swift "not interested." Undaunted, he knew he would need a different approach to marketing and tried an advertising firm, but found that it wasn't helping his business either. When a major guitar magazine did a two-page spread on his guitar, Gordon only sold one instrument and got less than 10 email inquiries. 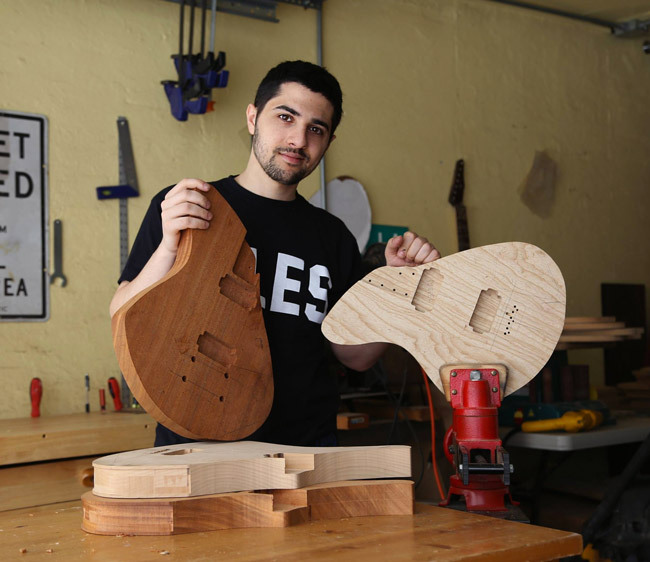 Gordon eventually began marketing his guitars in Chelsea Guitars and The Music Zoo’s physical stores, which helped get his designs to a wider audience—both in person and through their wide internet reach. In addition to his own website, he also just started listing his work on Reverb directly. “All of my business comes from the internet," he notes. "If it were not for the internet, I would have to make Strat and Tele copies to make a living, and I would not be in the business if that was the case.” He finds that most of his business is potential buyers finding him, rather than him actively searching out an audience. But it's not just blanket internet exposure that does the trick. Gordon consistently praised the guitar community itself and the passionate gearheads within it. “I think having a customer base that takes pictures and does video reviews really helps. Especially unpaid reviews.” Gordon feels that potential buyers are wary of paid reviews, as they won’t translate a true opinion of the product. His goal is to find an artist that is an active social media player, who will share their gear with their followers. He finds that builders that have an active artist who is posting pictures, videos, and sound clips frequently have great success. With the personal nature of social media, we are more connected with artists and will be able to more organically be exposed to the gear that they actually love. “People connect with the artist’s picture of the guitar in the grass, on the bus, and on the couch. People drool all over it. If you are the builder posting these pictures, it just feels like advertising." He knows it will be just a matter of time before the design clicks with people. He is constantly trying to get a production-like look and feel for the guitars overall. He began using CNC about a year ago, which has improved the overall design and feel. Gordon has found initial success by making his products his passion. In the world of buying handmade items, this sincerity might be the most important factor when connecting with buyers and growing sales. 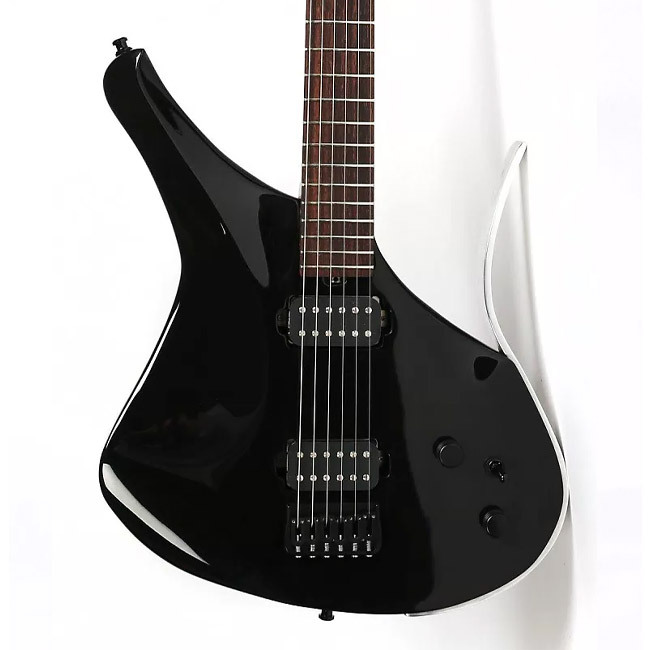 Gordon wants the buyer to feel the connection he feels and to share in the experience of moving the electric guitar forward. He knows he will find success not through advertising, but with creating a social and organic connection to his vision.